Branch owner of 911 Restoration Los Angeles Zack Cohen is confident that his Thousand Oaks flood pros can handle all types of water damage with ease. Homeowners living in areas that get minimal rainfall like Los Angeles, need to be aware that they are still susceptible to experiencing water damage in their home. The water extraction team is licensed, bonded and insured in order to protect their customers during the home renovation. Zack wants his customers to know that they are his main priority, so he makes sure that his staff does everything they can to maintain a trusting relationship with the community. The leak repair technicians have vast training in the field, so they know how vital it is to get to a water emergency promptly. For this reason, our Los Angeles offices are opened 24/7/365, so they can send agents to your Thousand Oaks’ home within 45 minutes of your emergency call. 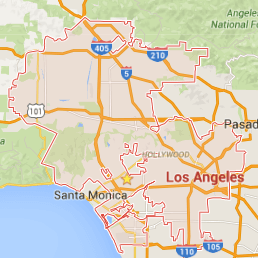 Our Thousand Oaks technicians want to defend your property against the worst situations. 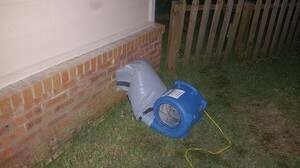 We know how to protect you against a sewage backup or a mold infestation. With over 35 years of experience in the field, the Thousand Oaks leak remediation experts have no doubt that they can finish any flooding job professionally the first time around. Our flood cleanup professionals have pioneered techniques for cleaning and sanitizing your home after experiencing water trouble. Call our water damage Thousand Oaks specialists when you find a plumbing issue so we can begin extracting water immediately. Accidents like pipe bursts, leaky washing machines, faulty ice machines and cracks in the shower pan can cause significant water damage. Zack wants you to feel safe when we arrive on the scene knowing that we will do everything to make your home a safe environment again. Our customers are the main priority of the flood removal Thousand Oaks staff. We show this by maintaining professional relationships with homeowners by hiring water damage agents who are able to answer all types of customer questions. We like to provide our customers with free water damage estimates, that way everyone is on the same page from the very beginning. We also always offer affordable prices and do everything we can to work with all insurance companies. Our water removal specialists will help you as much as they can with the insurance procedure, including communicating with your insurance rep and handling all the paperwork. If you find yourself dealing with a flood, call Zack and the entire water damage Thousand Oaks team today. We can’t wait to give you a fresh start!